Why do people queue for hours to have their photo taken on the ledge of a cliff? Why are some travelers afraid of getting caught in “tourist traps” in Rome? And why are there so many tourists hating other tourists? 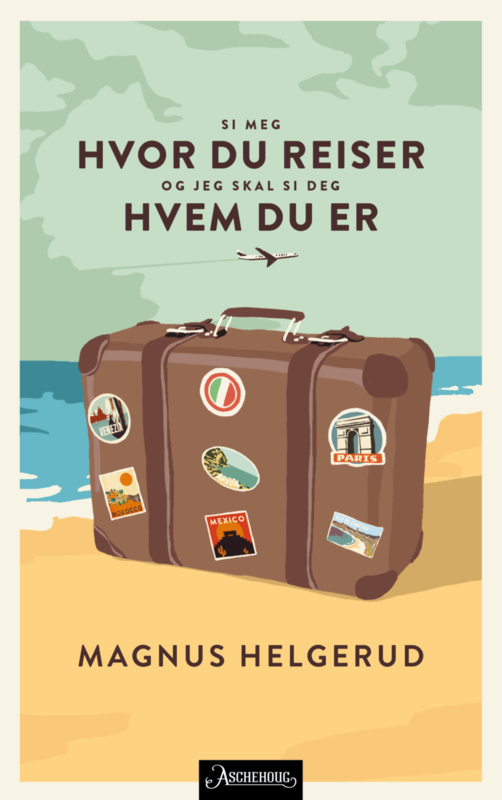 This book is like an organized tour for people that don´t really enjoy organized tours, guided by journalist and historian Magnus Helgerud, who sets out to connect the dots from the travelling artists of the 19th century up to the selfie-tourism of today. First we go to Rome, where through literature, film and art, he seeks to understand why so many travelers enjoy renting Airbnb apartments in “Rome´s most roman neighborhoods” and flirt with the locals in their pursuit of “authentic Italy”. In the second part of the book, traveling along the Norwegian coast with a cruise ship, the author goes all the way up to Cape North, where we come to understand what motivates many travelers to seek extreme experiences in nature. This book is a blend of live travel portraits and a popular science essay that draws on everything from recent research literature to Hollywood movies. With an eclectic cast of characters joining the travels, such as the poet Lord Byron, the painter Caspar David Friedrich, the philosopher Edmund Burke, a famous Latin Lover, Audrey Hepburn and a German guide pretending to be leading a polar expedition. “Tell me why you travel – and I´ll tell you who you are” also addresses the problematic aspects of tourism today, such as climate issues and gentrification. The anecdotes about Lord Byron's horror when bumping into his countrymen in Italy is enjoyable reading (...)Helgerud is brilliant when discussing the questions Why do we travel? What is motivating us? A highly entertaining and thought-provoking book! Ideal reading for anyone who’s ever been a tourist - or tried not to be one.